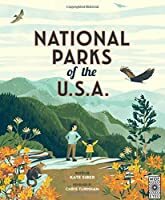 One of our favorite new nonfiction children's books is a gorgeous illustrated tour of America's iconic national parks from coast to coast. The retro style of Chris Turnham's illustrations are the perfect match for Kate Siber's informative text, and the result is a book both kids and adults will enjoy pouring over. Each park entry includes a brief overview of what makes it unique, followed by a couple of pages describing the flora, fauna and special features found there. National Parks of the USA is strong on illustration; this isn't a dense encyclopedic tome, and the format is incredibly appealing for all ages. 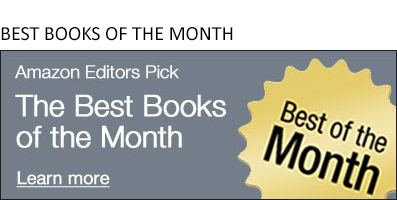 I’ve worked as a background painter for animated productions for years, so when Wide Eyed Editions pitched a book about the National Parks, I immediately said yes -- how could I not illustrate the most beautiful backdrops this country has to offer? My other artistic passion is in printmaking, and the National Parks are a part of that history as well. In the late 30’s the Works Progress Administration (WPA) created a series of silkscreened posters to promote the newly created National Parks. (Silkscreen is a method of printmaking where layers of color are applied to paper using a stencil that is embedded into a mesh. For this reason silkscreen prints are usually limited to a small color palette.) These posters have since become icons of the parks system and inspired me to illustrate the book in a similar way. My process started with reference-gathering and simple thumbnail sketches. With every National Parks picture I found, my thought process always went two ways: This is amazing! And how will I ever distill this into a single image? Some parks are more obvious than others. Grand Canyon, for example, has basically two views: either you’re standing at the rim looking down or you’re at the base of the canyon looking up. Most park visitors only see it from the rim so I thought that would be a good vantage point to set the scene. And because I wanted to convey the scale, I thought the figures in the scene should be as small as possible to convey the enormity of the canyon. From here it was a matter of distilling the forms that make up the visual identity of the park into simplified, graphic shapes, not unlike the way the WPA posters were designed. Here’s my very rough thumbnail. I drew dozens of these in varying ways to quickly get my ideas on paper. From there it went on to a more precise digital line drawing. I painted a color sketch next. This is the stage when it actually comes together; even though the shapes are still very rough, in combination with the color they give a pretty accurate sense of what the final illustration will look like. By looking at all the reference photos I collected, I was able to come up with a color scheme that I felt best represented the park. Grand Canyon is part of the Desert Southwest, and because of that setting, all the parks in the region tend to be similar in their color schemes. Part of the challenge of selecting colors for each spread of this book was choosing a color scheme that accurately represented the park but was also different from other parks located in the same region. In order to make Grand Canyon different from Bryce Canyon or Big Bend I skewed the colors a little more red and purple. In response, Bryce Canyon became more a more intense shade of red/orange and Big Bend became more orange and yellow. Once I figured out the color I expanded the rough thumbnail to the size of the final illustration, cleaned up the shapes, and added texture to get to the final. Yosemite was harder to figure out because the park has so many iconic views, from the multitude of waterfalls, to the recognizable granite cliff shapes, to the valley floor that gives view to all these elements. In the end I decided to depict all of these by staging the shot in a way that is a slightly more fantastical version of the park but still relatively accurate. Here we see hikers on their way up to Yosemite Falls as they overlook the valley and see Half Dome Peak off in the distance. Pine martens are a recognizable animal in the park so I wanted to incorporate them as well. Olympic National Park is one of my favorite parks because it’s in my home state of Washington. This park also has a lot of iconic views, from the misty peaks of Hurricane Ridge, to the rocky shoreline of the Pacific, to the mossy Hoh Rainforest located in the interior of the park. In this case I thought it would be fun to showcase the rainforest because it’s such a different environment from every other National Park. And whereas some of the other parks are easily identifiable by their massive scales, the moss-covered trees of Olympic actually can make one feel claustrophobic, and I wanted to depict that with this illustration. By positioning the camera closer to the forest floor I was also able to show in more specific details the plants and animals that inhabit this environment.